This isn't done but I wanted to see if I what I had would even be approved before I continued. History - Originating in Iwa, the Tenjinashi began as a group of traveling magicians who stumbled upon a mansion on the outskirts of the Rock Village. The magicians quickly discovered a peculiar nature of the abandoned structure upon taking refuged within it. Apparently the house vanished during the day at the first signs of sunrise and reappeared upon sunset. Intrigued, the magicians began to explore the mansion, eventually unveiling a hidden room full of hundreds of hats, caps and head coverings, all marked with the same seal. The unsuspecting group foolishly began to sport the headwear, soon realizing these hats were possessed by an entity known as a "Kibou" which transferred the seals from the hat onto the wearer's body. What followed was an internal battle between the Kibou and the wearer in which all but one woman lost. As a result, the entire group became possessed by this mischievous entity except for this woman, who's seal, although remaining on her body, also returned to the hat. Attaining the power of the Kibou, this woman (Tenjinashi Kitai) effectively eradicated the remaining Kibou and founded the Tenjinashi Clan in what was soon to be known as the "Sunset Mansion". Still a relatively new clan, the Tejinashi have existed for the last 250 years, perfecting the Art of Kijutsu(False Magic). All members are born with the same seal on their head and palms of their hands/feet, housing the Kibou which initially inhibits their ability to utilize chakra. At the age of 5, members are expected to go through a ritual known as "Shoron" in which a hat is placed upon their head and they attempt to duplicate this seal to the hat, thusly splitting the Kibou in half. This ritual forces members to face the insidious entity either resulting in defeat(body possessed and ultimately killed) or success. Tenjinashi who are successful will from then on be able to both utilize the Kibou and chakra as long as they are wearing the hat. In general, Tenjinashi are fairly secretive and seculsive although they enjoy entertaining people, in other words, abiding by the code "A good magician never reveals his secrets". Description - A seal(permanent tattoo) located on the the user's head, palms of hand/feet and headwear, forms a connection and stabilizes the flow of chakra between the Kibou and the user. 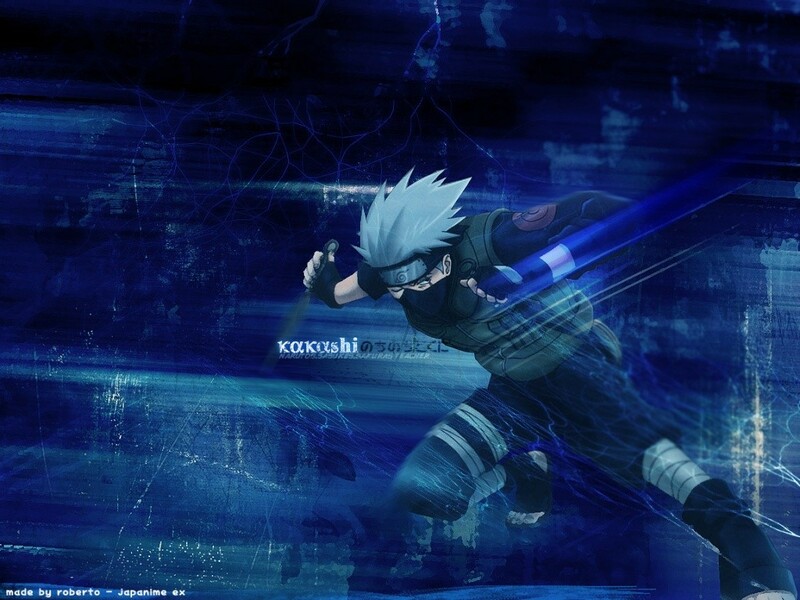 This allows the user to utilize clan jutsu, specifically Kijutsu (False Magic) through the use of Kibou Chakra which is characterized by a black shroud like appearance and the ability to transform/mimic elements. The possessed headwear itself acts as a conscious entity and may function to a degree when separated from the user, although the user will lose the ability to utilizes chakra when separated from the headwear. By snapping his/her fingers, the headwear will reappear on the users head. Description - Once this jutsu is activated, the user will be able to transfer one of his/her 5 senses to his/her's possessed hat. The hat itself may levitate and scout ahead of the user as well as transform its shape to appear less conspicuous. While one of the user's sense's has been transferred to the hat, he/she is no longer susceptible to genjutsu related to that sense as the main body remains blind/deaf/etc, forced to rely on its other 4 senses. Similarly, the hat temporarily lacks the other 4 senses not transferred. Description - After making a seal, the user fire's a blast of Kibou chakra from one of his/her 6 seals. Upon contact, the chakra will burst into flames, engulfing the target and causing mild burns before dissipating moments later. Because Kibou chakra is non-elemental, it simply mimics fire but does not emit heat nor continue burning. It is also not strong/weak against anything. Description - After making a seal, the user fire's a blast of Kibou chakra from one of his/her 6 seals. Within 5m of the target, the chakra will burst into surrounding water sphere's and pound the target from all directions. Because Kibou chakra is non-elemental, it simply mimics waters and disappears after making contact. It also is not strong/weak against anything. Description - After making a seal, the user fire's a blast of Kibou chakra from one of his/her 6 seals at the ground. Upon contact, stones (about 1m in diameter) will rise from the ground about 10m in the air in a 5m diameter, pounding anything above. Because Kibou chakra is non-elemental, it simply mimics stones but they simply disperse on contact. It is also not strong/weak against anything. Description - After making a seal, the user fire's a blast of Kibou chakra from one of his/her 6 seals into the air. At the user's will, the chakra will form into a small cloud(5m in diameter) which rapidly shoots a total of 10 Thunderbolts at the target, causing mild shock. Because Kibou chakra is non-elemental, it simply mimics lightning and is also not strong/weak against anything. Description - After making a seal, the user fire's a blast of Kibou chakra from one of his/her 6 seals at the target. Upon contact, the chakra will begin to rotate into a small tornado, causing minor cuts, swinging the target and eventually launching him/her in a random direction. The tornado lasts about 10 seconds before dissipating moments later. Because Kibou chakra is non-elemental, it simply mimics wind and is not strong/weak against anything. Description - After making a seal, the user fire's a blast of Kibou chakra from one of his/her 6 seals. At the User's will, the chakra will burst into a thick mist, engulfing the target in a 10m diameter. Within seconds, snow and ice shards will began to lightly pummel and cause minor cuts to the target for about 30seconds, after which, the mist will dissipate. Because Kibou chakra is non-elemental, it simply mimics ice but is not cold nor will freeze the user. It is also not strong/weak against anything. Eh... to me, this is way too gimmicky to warrant a full clan. I mean, sure, the seal thing on their head is clan-ish, but I don't honestly see why a bunch of magician themed techniques would need that, or to be a full blown clan. They'd make fine regular customs, though; I've seen a bunch of Halloween themed techniques once. But, when determining whether or not to approve custom clans, one of the things I look for is whether or not it would make sense for it to be an actual bloodline. Fuuinjutsu is not limited to clan bloodlines, and there would be no reason why people outside the clan couldn't replicate their techniques with sealing jutsus of their own, if that were the case. So, while I think they could possibly make interesting and unique customs, I don't think that I can accept them as part of a clan. Hmm, alright then, fair enough. I'll try editing this a bit first and see if I can make it clan worthy and if not, I'll just go ahead and make these customs. Clan's been edited so its no longer gimmick like and has a unique clan quality. I... am not really seeing this as a clan. The jutsus are kind of all over the place; some use black sludge, others disintegrate objects, another makes portals, others use acid... and it's all coming from an evil entity that came from possessed hats? Take out the whole evil entity thing, and they're normal techniques. A few of them probably wouldn't even be allowed. I'm still going to say just go for customs, and I'll try to... sift through them. And yes, I am very persistent. Well, I wanted a character who could was a pure elemental ninjutsu specialist and a magician character so I figure this is the only way I could get both through. well the problem i see with this is that shinobi on this site are only able too use two elements. That's true except none of these are real elements. Fire isn't hot, ice isn't cold, etc. And while they aren't weak against anything like a real element is, they aren't strong against anything either. It's all non-elemental. All of the attacks are just using "Kibou Chakra" (literally meaning trick/false chakra) to take the form of and imitate elements through the use of Kijutsu (False Magic). Also, while real elemental attacks remain after the attack is used (Ex: earth wall remains, fire continues to burn, water floods, etc); all of these attacks revert to Kibou chakra right after use and disperse into nothing. I'd really not have a FF and Naruto crossover... didn't even try to disguise it. and even if they only "imitate" elements and aren't strong or weak against anything, you still have fire causing burns, lightning causing shocks, wind causing cuts, etc. to the target. The point is, the chakra mimics an element in order to produce an effect similar to what the element actually would but is unable to properly do so, making the mimic less effective and weaker than its legitimate counterpart. The user trades off effectiveness for diversity. All of these mimic elements are only able to take on properties related to conduction(direct contact) and are unable to sustain their form. So fire only mimics burns but otherwise is unable to continue burning or even emit heat to the surroundings. Water mimics flexibility but is unable to sustain or drown. Earth mimics fortitude but like water is unable to sustain or crush/bury. Ice mimics a mixture between flexibility and solitude but cannot actually lower temperature and does not remain. Wind can only cut and blow/carry when directly touching, it doesn't produce air currents and finally, Lightning only shocks upon direct contact but the current cannot be conducted and is not affected by metal. Basically, because the chakra is only taking on these conduction properties, it essentially has no effect unless it directly touches the target. I'm going to have to support my Main Man Kenji on this one. I love Final Fantasy and all but it's basically a try to use every element when it just can't be done on the site. We appreciate you giving it an effort and offering reasoning, but we just can't accept this clan in any way. If you want, you could become really cool and awesome, then become an Uchiha. They can use every element, if you copy the jutsus off someone else. Unless there was some writingderp. And you could just PRETEND like you were a magician, or something. there's already five uchiha which i believe is the max on the site, unless of course Kyle has lost his uchiha since he hasn't been online in a while and if he hasn't then unless the five cap limit has been removed but i don't think that has happened. That's a total loophole then! This site doesn't allow you to have a clan that can utilize only mimic fake elements but uchiha can learn all 5 REAL elements????? plus all the other uchiha abilities! This really doesn't seem very fair to me.... my clan's elements are all watered down versions of the real ones and not only that, they can't control them the way normal jutsus do. Instead, they all create short lived very basic attacks. In reality these "elements" aren't even elements, they're all non-elemental! Just a special chakra that changes its physical properties so the chakra harderns to become "earth" or liquifies to become "water". So what's the deal with all of this and making it impossible to pass when another clan can outright use everything? In order to copy a jutsu, the user must have the proper points in the Ninjutsu, Taijutsu, and Genjutsu stats depending on the rank of jutsu. They must also have the appropriate affinity. In addition, they must have an appropriate amount of TP to learn it, otherwise the copy will fail. The user is still bound by the total jutsu limits per ninja rank. For example, a genin Uchiha cannot copy any jutsus if they have already learned a total of 15. Alright then.. but I still don't see what's so wrong about this clan. The only reasoning anyone's given me is "FF!?!" and "5 elements!?" But just like Uchiha which are usually banned because everyone's reason is always "Uchiha!? GODMOD", if you water the clan down enough, they become acceptable. So what is it about this clan that makes it unacceptable? I thought I had it pretty well watered down. The fact that all of the attacks are non-elemental means that there is no elemental advantage so I don't see the 5 element argument as very reasonable. Are the attacks too cheap? Because the whole point of this clan was to trade the strength/effectiveness of these attacks for diversity. I believe the issue is that even though you can say they're non-elemental all you want, they still affect an opponent negatively in the same way as a jutsu of that element would. Your fire may not be hot, but it still hurts like fire if you touch it. Your lightning may not be conductible, but it still hurts like lightning if it hits you. Your wind may not blow, but a lot of authentic wind ninjutsu don't either. Admittedly I think the rules are rather strict, but under the current rules it makes sense not to allow this. Yeah they're pretty strict, but alright, fair enough.